Home » News & Events » Category archives "Announcements"
On the dawn of a new year, we would like to take a moment and thank all of you for your continued support and advocacy for our profession. You are our ‘raison d’etre’. It has been quite a year. We began with the move to form one association started in 2016, but unfortunately that was not to be, at least for now. Be assured that our association which is 68 years strong, will continue to champion the cause of LPNs in the province. LPNABC continues the voice for our profession. We remain advocating for LPNs with our sole mandate being focused on our profession of which we are so proud of. We would also like to acknowledge and thank those who have supported us along the way,with a special thanks to; Minister of Health, Senior Advocate, BCCNP, BC CareProviders Association, Health Authorities leadership and all Practical Nursing Schools. There will be more events scheduled throughout the year so be sure to check our website often and please share with your colleagues in supporting your LPN Association through Free Membership Join today! Four Reasons to Join LPNABC in 2018! No one listening to you? Numbers SPEAK! Join LPNABC, it is FREE! Minister of Health – we are invited because LPNABC has a reputation that we are clear, accurate and strong advocates regarding LPNs scope of practice, current practice issues, barriers and need for support. We are invited to meet with the ministry and their support staff based on your reputation, this comes from being an LPN and being able to speak to the current issues. PN Articulation Committee – LPNABC has sat at this very important table for over 25 years, since it was organized as education is one of our main mandates. This committee is where all the educators come together every 6 months for a full day to meet and review the PN curriculum, the PN programs and other matters. BCCNP (formally CLPNBC) – LPNABC meets with the college on a regular basis to encourage removal of limits that are not necessary based on education, training and skills eg: LPNs are able to initiate Oxygen without a physician’s order. The LPNABC wrote many letters, attended meetings submitted numerous consultation reports with evidence from the PN Curriculum to finally achieve recognition that this was a pre-existing skill, we continue to promote that current practicing LPNs do not need L&C. Canadian Nurses Association (CNA) – LPNABC has been a long-time advocate for LPNs to be included in the membership, we were finally successful in June 2018, We also have been striving for LPNs to have Specialty Certification through CNA, which also has finally been achieved as the new LPN Gerontology Certification will be launched November 1, 2019 and we are partners in making this happen! 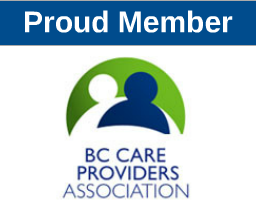 We are the LPN Association, we are working with stakeholders representing LPNs in BC, and our work relies on you! Actual membership, Numbers Count! We have made this as easy as possible as it is now FREE! To become a member of LPNABC. Help us continue to strive to be the LOUDEST voice. Display our poster at your worksite and show your support for LPNABC!